I see the study of the interpretation of Pallas (beyond the vague touchy-feely tidbits that exist today) as a truly "disruptive technology" for the astrological world. It is not without some measure of relief that I note that virtually no experts on the practical interpretation of Pallas exist. And while I feel compelled to write on the topic, I hesitate to promote my work, even to friends. Understanding Pallas makes an astrological mapping of political ideology possible. It provides a vital clue to understanding the astrology of criminal behavior. It provides clues which enrich our understanding of the human personality and may helpfully increase the the toolkit of the vocational astrologer. It may even provide an invaluable asset to the art of astrological forecasting. The ability to potentially read a person's ethical makeup through their astrological chart brings up ethical questions. For instance, patterns that I've observed which appear in the charts of mass murderers also appear in the charts of countless others who will in all likelihood never commit a violent crime (I marginally fall into this category myself). 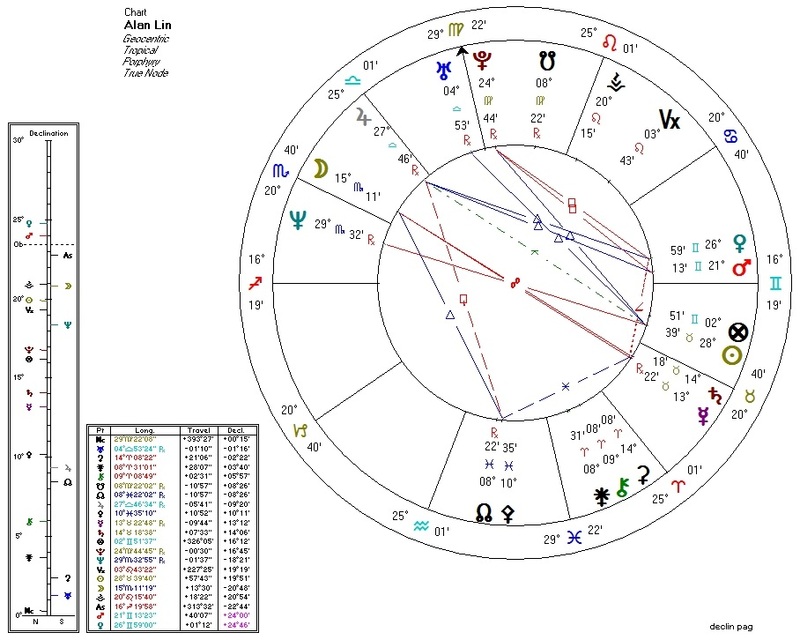 What should an astrologer do when encountering a client with such a pattern? To the conspiracy-minded, potentially sinister applications abound. Could government, military, and criminal organizations use this knowledge to weed out potential whistle-blowers or persons with too strong a conscience? Could sites like Facebook (notorious for censoring "politically incorrect" content) use it to determine which users to "watch", or to target political ads to? Could parents-to-be decide to determine the political and ethical bent of their children by choosing the moment to induce birth? Could a totalitarian regime pre-emptively arrest or assassinate dissenters... before they dissent? The philosophical implications are intriguing: Pallas appears to be an astrological indicator for the potential for "good" and "evil". If this is the case, then "evil" may not be a lack of empathy, but a deficit of rationality -- Pallas is by nature emotionally detached and logically strict. Pallas is in many ways the "coldest" planet, the embodiment of detachment and logic; yet it is she and not the more outwardly appealing planetary energies who allows us to live in harmony and cooperation rather than war and strife. Can this Athenian rationality be trained? How much of the "evil" in the world today can we attribute to the mass-production line of modern education, which stifles the development of independent thinking and reasoning in children in favor of rote memorization and State-approved inculcation?